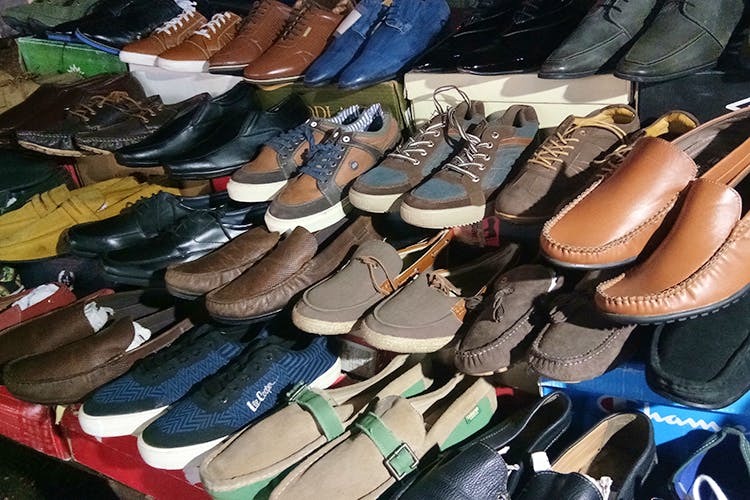 From stylish suedes to dress shoes and sneakers - a nameless, white van, on Kammanahalli’s main road, sells shoes for INR 1,150 a pair. Every evening, a white van makes its way onto Kammanahalli Main Road and parks itself right next to the church. The nameless van hawks surplus shoes for men. And is a great place to buy a pair or two on a budget especially if you are not too hung up on labels. The shoes, on display here, are mostly from local brands but are not short on style or sturdiness. On our trip here, we found a great pair of blue suede shoes that sat next to a pair of shiny, black dress shoes. You can also find sneakers in all shades - bright blues, oranges, greys, and blacks. There are skater shoes and lace-ups on offer. All shoes goes for INR 1,150 per pair. This van only appears in the evening so make sure you do a thorough quality check, under the bright bulb, before putting down your money. Plus, since this surplus stock, you may not always find what you are looking for.